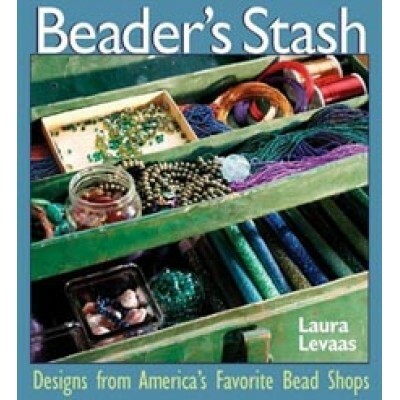 Beaders Stash Designs from Americas Favourite Bead Shops by Laura Levaas Softback Colour 143 pages. This book showcases all forms of beads jewelry home décor and accessories and offers something for everyone. For beginners lots of stringing and wireworking projects for more advanced beaders bead embroidery and seed bead stitches. Lots of ideas from traditional to contemporary with innovative projects that show great appeal and interesting use of materials. Look inside the world of the bead shop receive insider tips from professionals learn ways to conquer your bead hoard and become involved with a technique stringing weaving loomwork felting bead embroidery wire wrapping soldering etc. The book also includes a Beaders Basics section an illustrated technique glossary and bead shop insider tips.